Published on April 30, 2017 in Advetising Media by A.H. This article will provide a description of transit advertising or advertising on transport, information on advertising media, their purpose, functions, and features, as well as detailed descriptions and sample images. Transport advertising is carried out on the basis of contracts with the owners of vehicles or persons having property rights on vehicles. In this case, the advertiser, as a rule, does not communicate with the owners of vehicles directly and with agencies operators or companies owners of contracts for the placement of transit advertising, which have special rights on the implementation of specific advertising media or bound by the ad space owners. 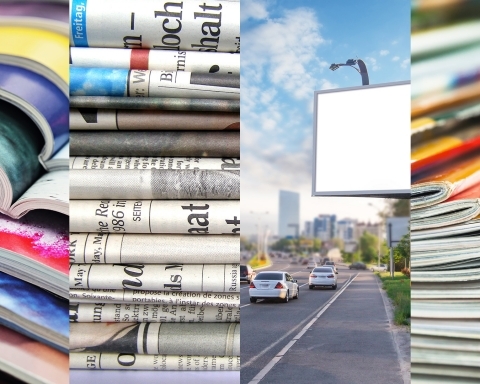 Agency operators also carry out servicing and disposal of promotional materials. It should be noted that in the segment of transit advertising placed directly on the vehicles used somewhat more complicated than in the advertising industry as a whole, an administrative regulation by government agencies. 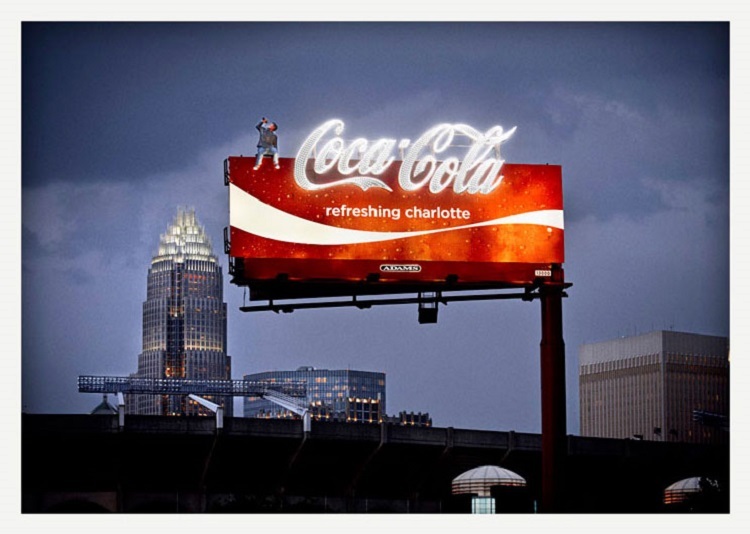 Placement of outdoor advertising is regulated not only by the federal law “On Advertising”, but also by the individual decisions of the regional and municipal authorities. Cases of advertising restrictions on vehicles to ensure road safety are determined by the authorized authorities entrusted with the control of traffic safety. 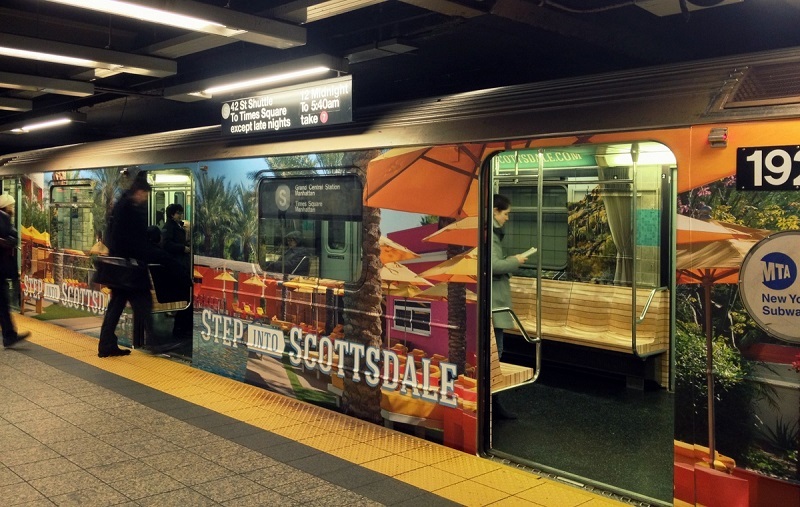 The efficiency of transit advertising is a result of many factors, so the planning and implementation of advertising campaigns require the advertiser knowledge of its individual features. 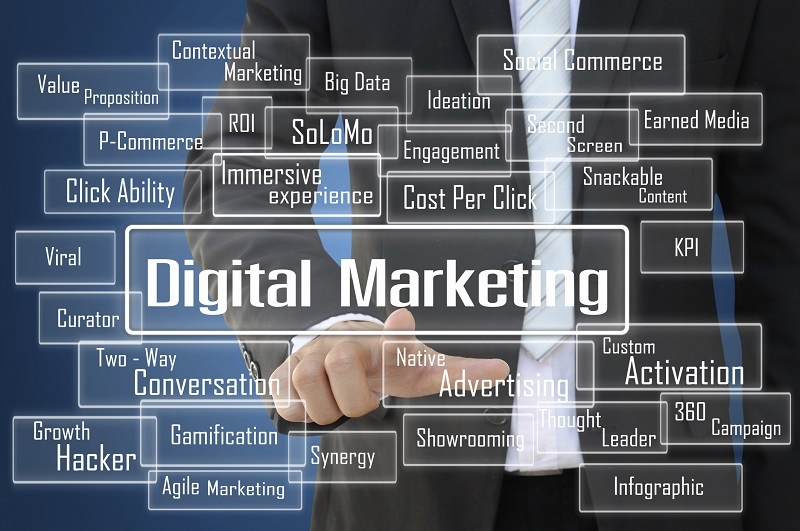 Similarly, selected transit advertising format guarantees the attention of the target audience to its content, and a considerable variety of advertising media can form an advertising placement program so as to ensure the greatest number of contacts with the advertising message, and therefore the greater memorability. 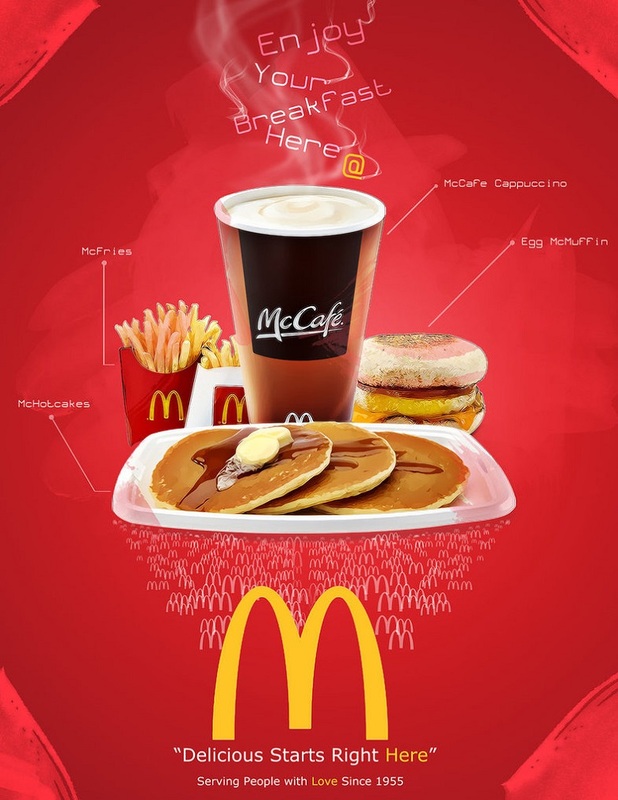 However, the presence of a variety of different types of advertising media, including transit advertising, leads to the “advertising noise”, especially in big cities: the user can “get lost” in the huge advertising and information flow and miss advertising. However, advertising is placed in the salons of public transport, can long hold the attention of the recipient because of the absence of other stimuli. Provide coverage of the modes of transport used by the target audience the advertiser. Be concise and easily perceived in the process of movement. Be understandable to a mass audience. Due to these requirements and relatively low selectivity of transit advertising is used primarily as an aid in the framework of integrated advertising campaigns to support and advertising supplements placed in other media. Such a complex effect can significantly increase the performance efficiency of an advertising campaign. Wide coverage. Public transport has traditionally been the most popular means of transportation, so has a well-developed infrastructure. The lack of selectivity. Transit advertising is almost does not reach a certain audience segments, that is, it can not be aimed at customers of a particular gender, age, occupation, education, and so on. 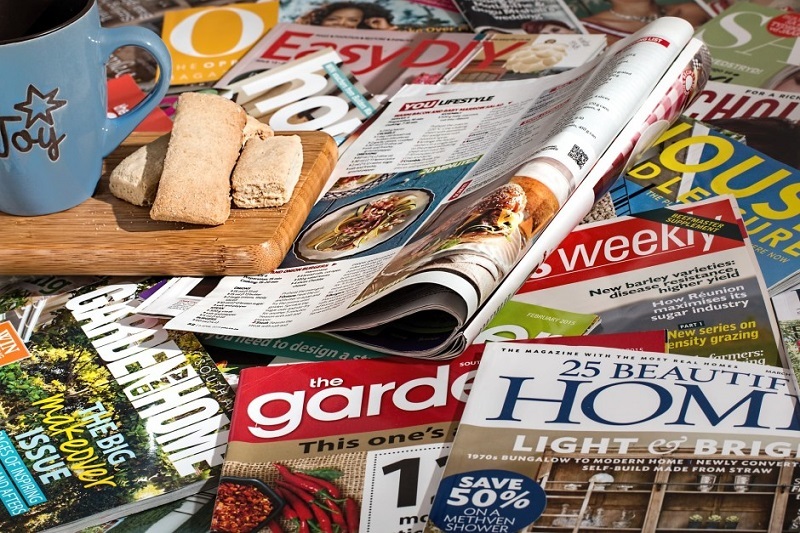 Coverage of local markets in combination with a high frequency of advertising impressions. Transit advertising is used as an effective means of influencing the mass audience of the local markets, where selectivity does not play a significant role. In conjunction with the outdoor advertising it provides wide coverage of the mobile population in the local markets in a relatively short period of time. In this case, transit advertising provides a high level of frequency with mobile coverage of the population. Transience, brevity of the message. 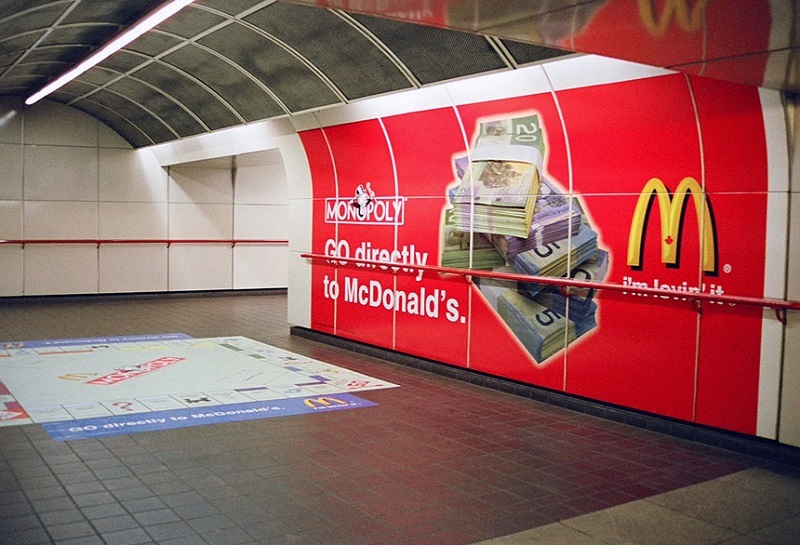 Transit advertising is used to transfer simple and short messages as complex or long messages will not be received by the audience. Flexibility. An advertiser can choose to advertise the vehicles used by the representatives of its target audience, which results in partial selectivity and significantly increase the effectiveness of advertising. Reaching only the specific audience for advertisements placed in public means of transport (e.g. working women and men who use public transport). High exposure. Advertisements placed in the salons of public transport, can long hold the attention of the recipient. Limited advertising space. Size is a key means of attracting attention, however, transit advertising, except for some formats cannot provide advertisers large size media advertising information. The low cost of advertising exposure. At a cost of advertising exposure transit advertising refers to the least expensive channel of distribution of advertising. Thus, in the public transport enjoys a significant number of people, it provides a low cost of advertising per customer. The need for frequent monitoring. 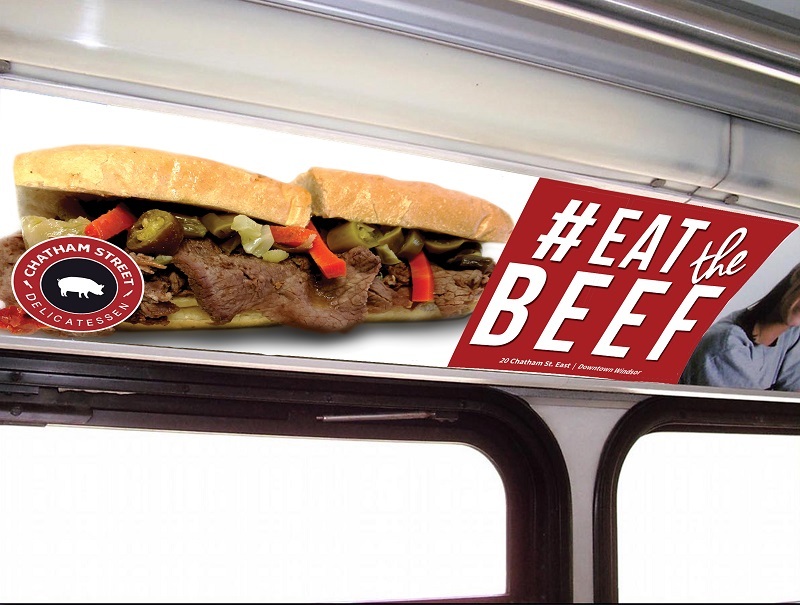 Despite the relatively low cost of advertising exposure, the use of transit advertising is often associated with relatively high maintenance costs of promotional materials due to the need for continued monitoring and replacement of ads that are spoiled, erased or damaged in any other way. The cost of this service is usually included in the total advertising budget. 1) Outer transit advertising: Located on the outer surfaces of vehicles, and on special permanent or temporary structures, located outside the transport infrastructure. 2) Internal transit advertising: Placed inside the vehicle, as well as special permanent or temporary structures disposed within transport infrastructure. 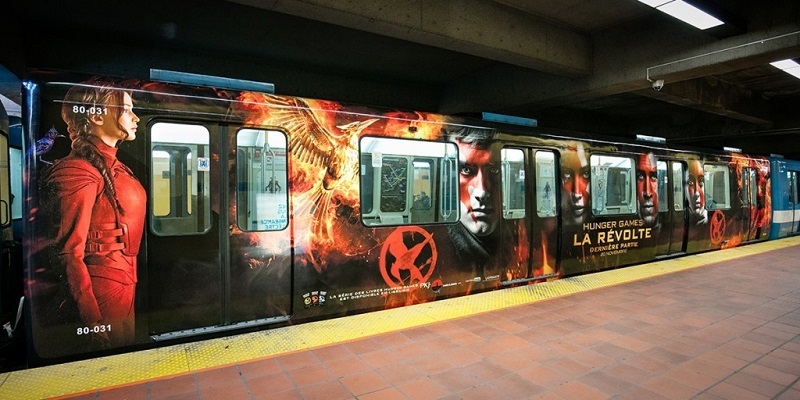 In use the outer surface of the vehicle, and its inner space as an advertising medium. 1) Roof advertisements: It is placed on the roof of the vehicle. 2) Onboard advertising: It is located on the sides of the vehicle (on the back, front and lateral sides). 1) Video advertising in the vehicle cabin – advertisements on the video screens and displays in various formats. 2) Audio advertising in the transport cabin – audio advertisements. 3) Static advertising in transport salon – advertising boards, posters, leaflets, stickers of various formats. By advertising space of the transport infrastructure include buildings, premises and adjacent territory of the said facilities. Advertising outside the building and in the surrounding areas of these enterprises are located in special permanent or temporary structures, and, as a rule, does not differ from outdoor advertising in other areas. Advertising within the transport infrastructure, as a rule, is generally consistent format outdoor advertising, placed in other locations.